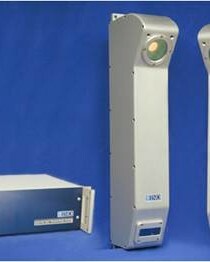 The Laser Rut Measurement System (LRMS) is a transverse profiling device that detects and characterizes pavement rutting. 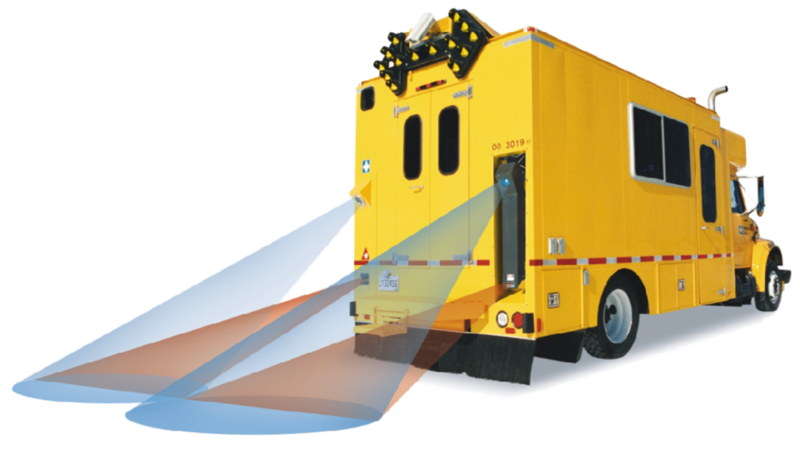 The system uses two laser profilers that digitize transverse sections of the pavement and calculate rutting in real-time on board the data collection vehicle. 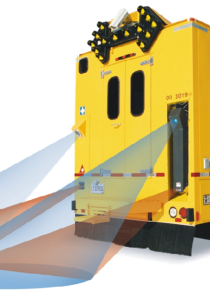 Custom optics and high-power pulsed laser line projectors allow the system to operate in full daylight or in night time conditions. 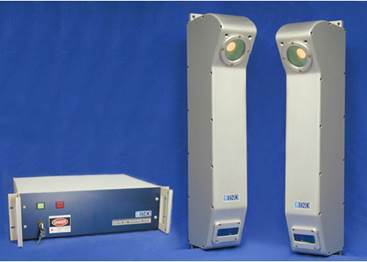 The LRMS can acquire full 4-meter width profiles of a highway lane at normal traffic speeds, with 2 options of maximum sampling rate: 30 or 250 Hz. The LRMS has been used on a continuous basis by dozens of governments and private data collection contractors around the world to provide an objective, accurate and repeatable measurement of road rutting. 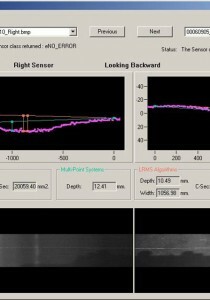 The LRMS offers a vertical accuracy of 1 mm ensuring that even the smallest ruts are detected and reported for analysis. Traditional rutting measurement systems typically combine three to five point lasers in order to crudely estimate rutting across a four meter lane. In contrast, the LRMS provides 1,280 points of measurement across the same width to capture an actual transverse profile which can be used to accurately measure rutting instead of just estimating it. Rut extraction algorithms have been developed to automatically measure rut depth, width, and type: short radius, long radius or multiple radius (double) ruts. The system is delivered with a complete DLL library of C/C++ functions allowing the user to easily configure the sensors, acquire transverse profiles, extract road rut data, and validate laser profiler calibration. 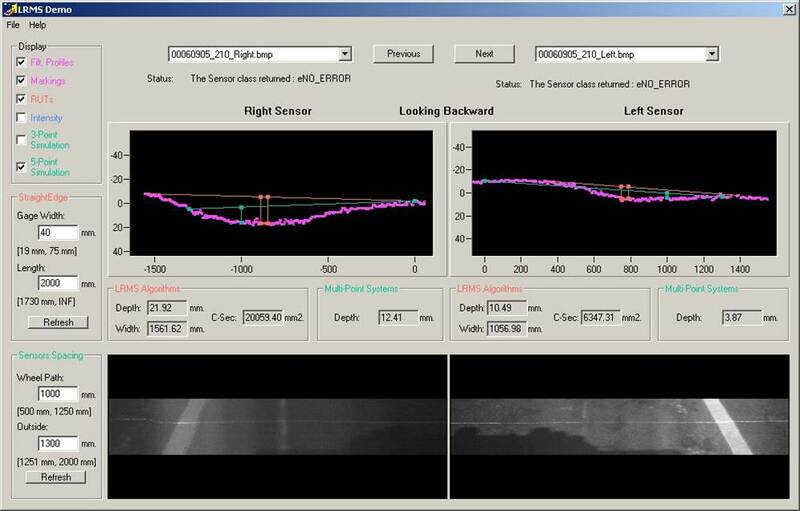 Click on the movie below to see automated rutting measurement results from the LRMS.